The smallest soft starter in the world. 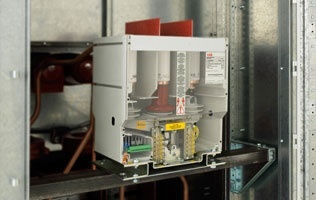 The L-Series MVX soft starter is the smallest medium voltage soft-starter in its class, with a smaller panel footprint than any other MV soft starter in the market today. Space is a big advantage in lowering your switchroom costs and provides more flexibility where space is needed like marine applications. The safest soft starter in the world. 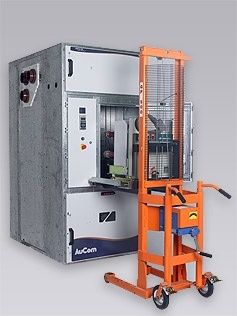 To ensure your staff and plant are safe from arc fault, AuCom L-Series panels are the only choice. 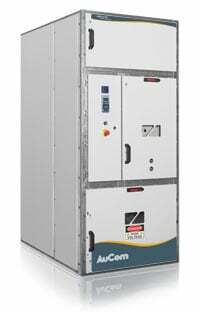 The L-Series panel system meets or exceeds all the relevant IEC standards for internal arc fault resistance. L-series MVX panels can even withstand an arc event in one compartment without affecting neighboring compartments. Type tested panels meet Internal arc classification (IAC) AFLR to a maximum of 31.5 ka for 1 second. AuCom has eliminated complex disassembly to replace or service a part. 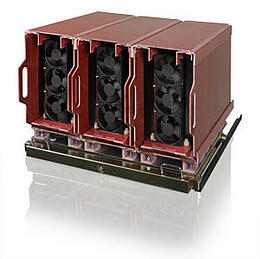 The L-series MVX panels are designed with easy rack-in, rack-out operation. Components can be inspected through viewing windows and are easily accessible via hinged doors or removable panels, while still keeping unauthorised people out. Don't feel constrained in the choice of apparatus in your switchgear, AuCom panels are compatible with all of the major apparatus suppliers. 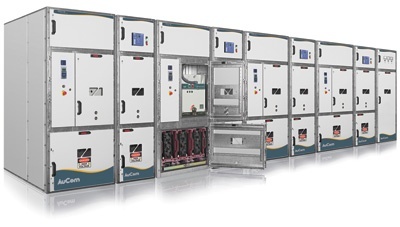 The L-Series MVX soft starter is available in a range of configurations up to rated voltage class 15 kVA and 450 A. AuCom has a full service capability to design and manufacture your entire Motor Control Centre.